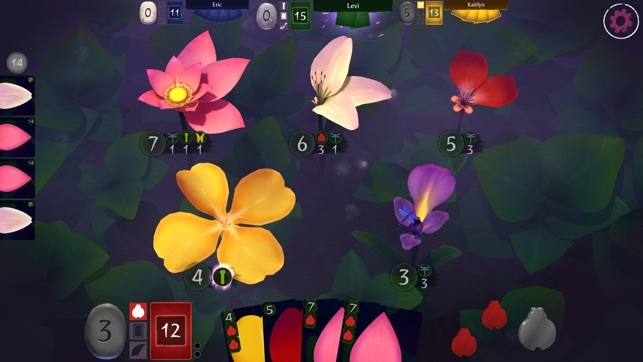 In Lotus, players take turns adding petals and utilizing guardians to control and nurture these mystical flowers to maturity. 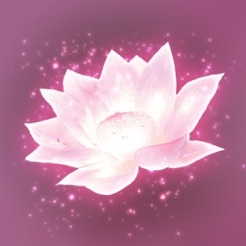 Collect special abilities as you grow to aid you on your quest, and gain wisdom points for each completed bloom. 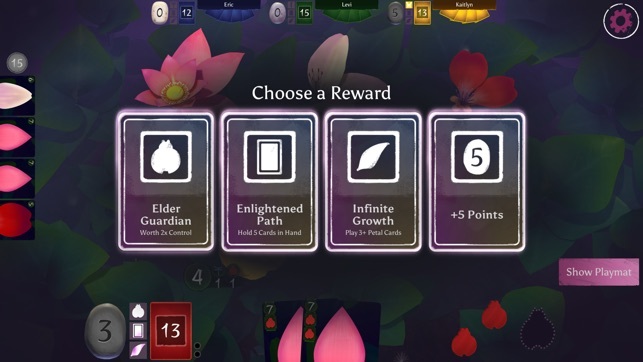 At the end of the game the player with the most wisdom points will emerge from the garden that much closer to enlightenment! 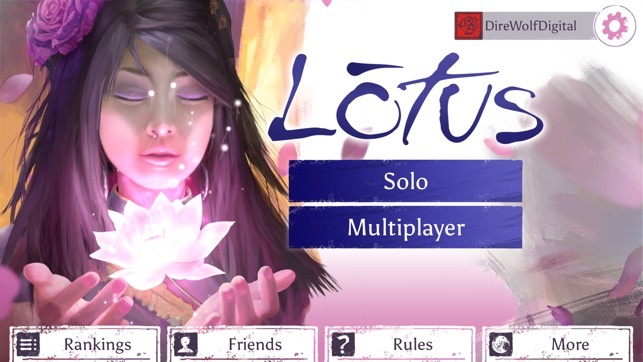 Vibrant visual effects, skilled AI, meditative environmental music and smooth touch play translate the serenity of Lotus to your phone or tablet. 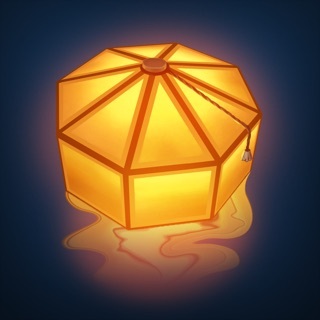 "A very simple light game but there are some good decisions to make." - Dan King, The Game Boy Geek. "It's a very interesting, dynamic game." - Joel Eddy, Drive Thru Reviews. My favorite game on my phone! First of all I love how beautiful this game is. It’s so calming and relaxing to just look at. The music is also very calming. But I also like that it challenges me at a variety of different levels. If I just want to relax at the end of the day and plan easy game I can do that. Or if I’m feeling up to it I can play a more challenging game and really push the limits of strategy play. This is a super addicting game. So if you have a road trip or a long flight coming up make sure you download this! Make sure to play this with the sound on! My wife and I have the board game version of this game at home and were thrilled to see it available for our phones. 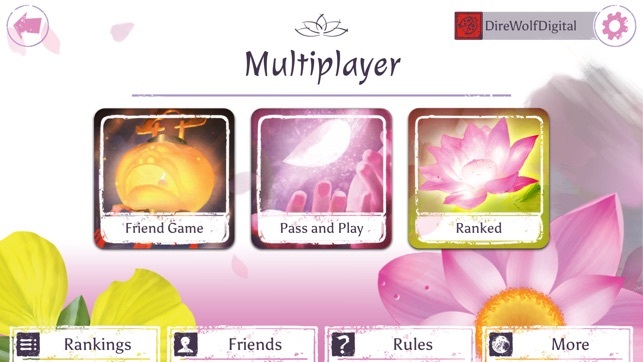 The multiplayer works great for us - so the developers must’ve fixed the issues from earlier reviews. The sounds, visuals and attention to detail on the actions are all excellent. Great addition to the games folder! I originally gave this game 1 star due to frustrations at launch with bad connection. That has since been fixed. This is a beautiful game. I love the physical games art and this really just knocks it out of the park. I really love how I can play this game with friends at different times. If they ever get notifications to work this will be a 5 star game. 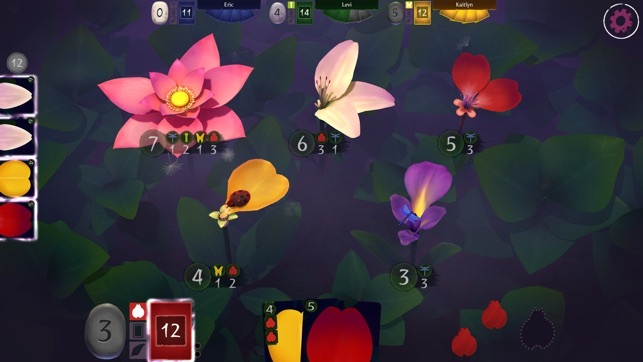 As of now there is no way to know when it’s your turn until you open the app.